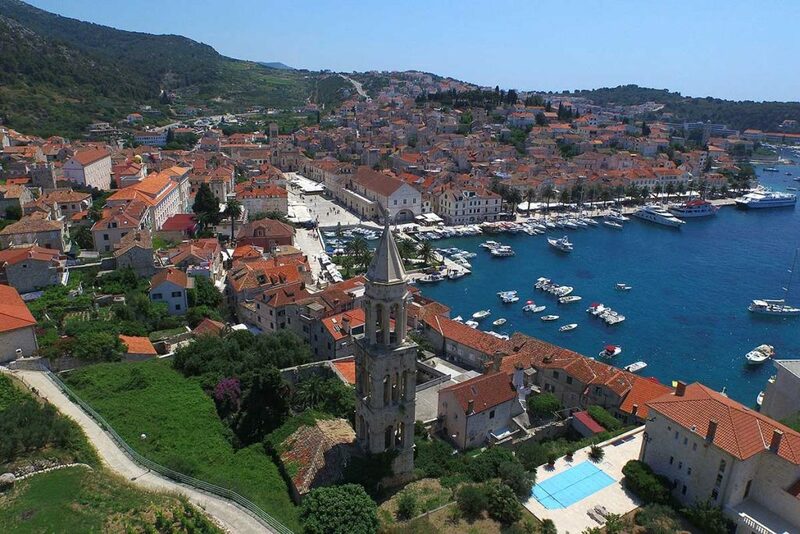 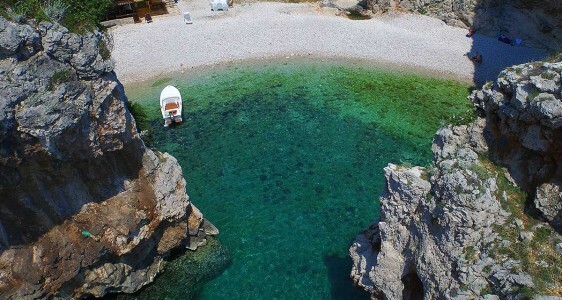 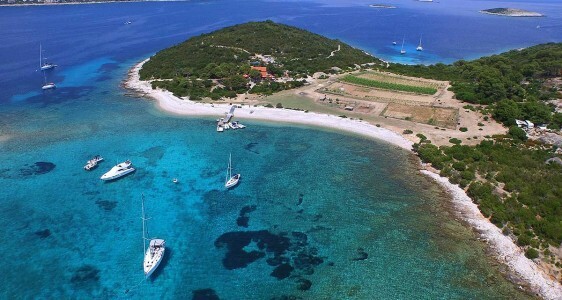 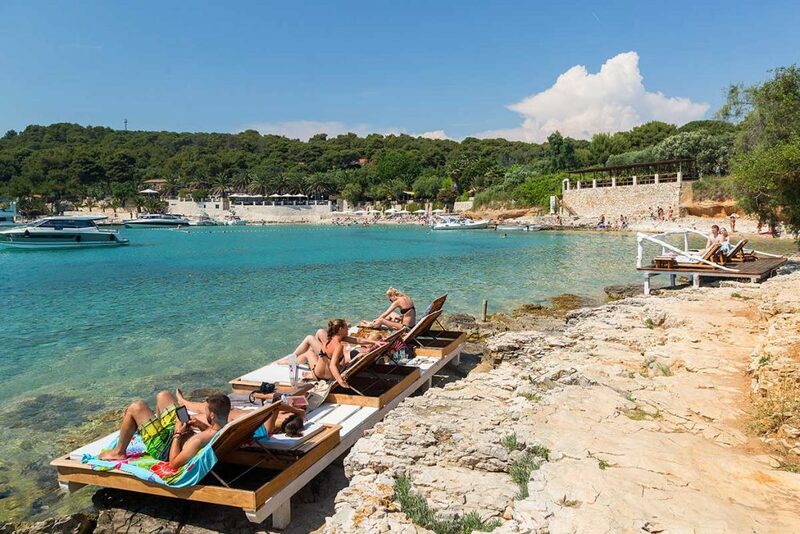 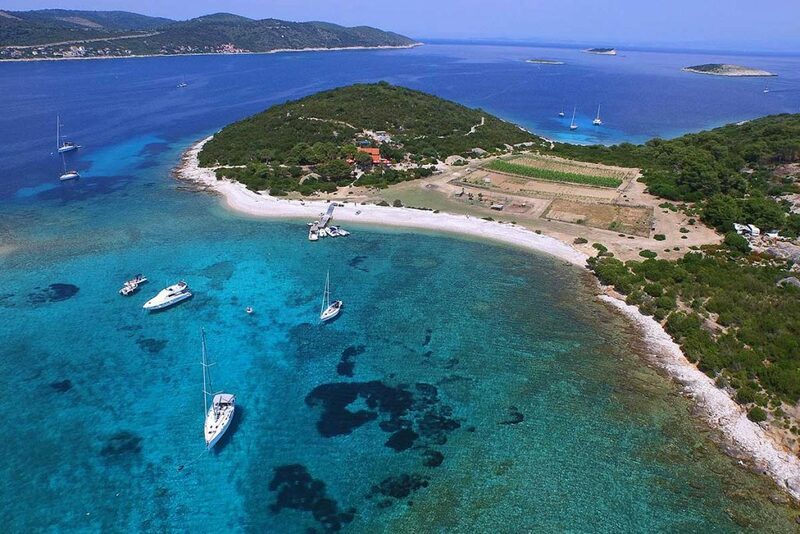 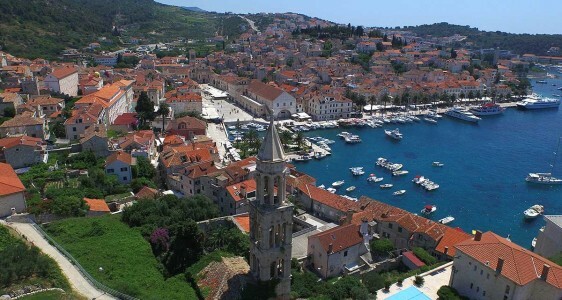 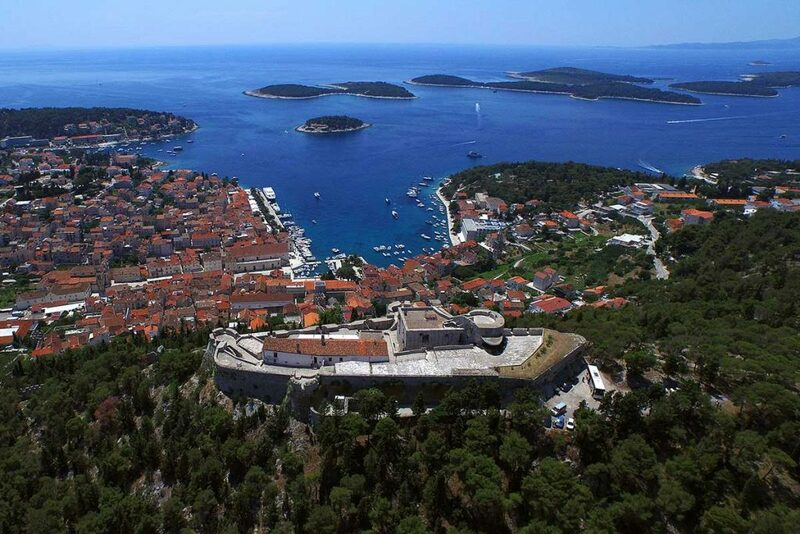 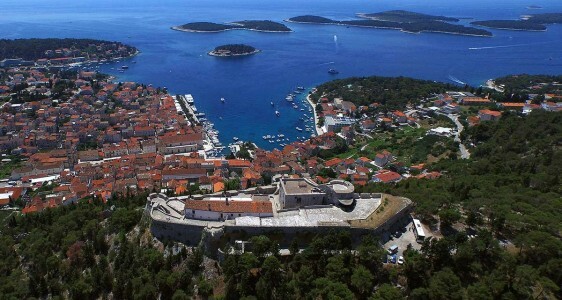 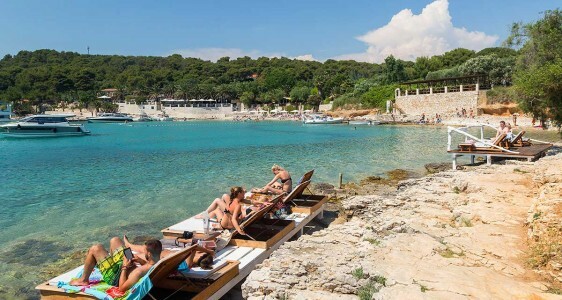 Croatian islands have everything necessary to fulfill all your desires and dreams. 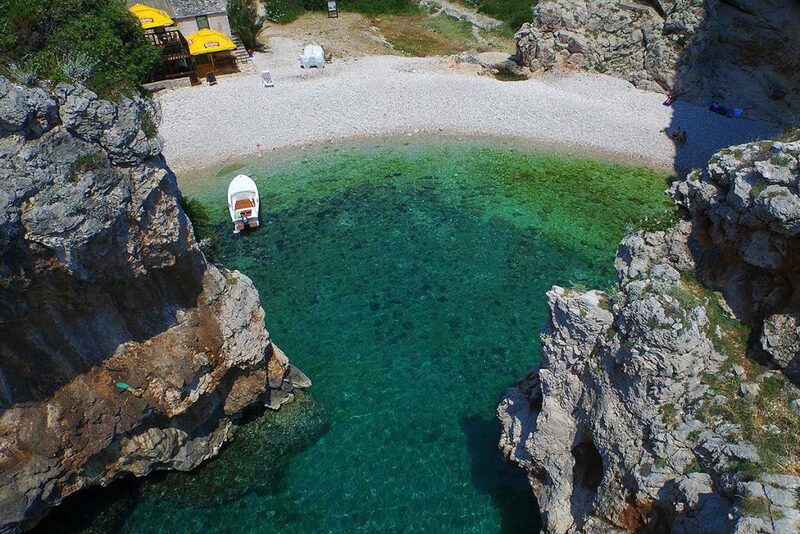 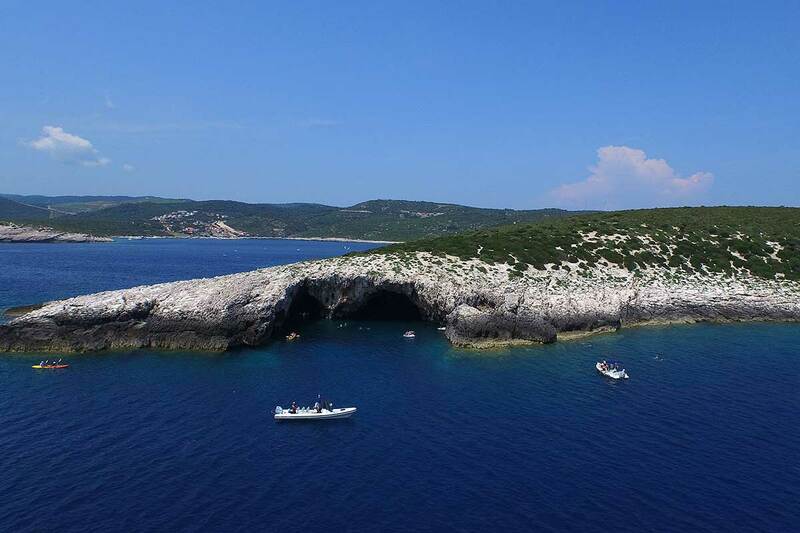 Green Cave is another natural phenomenon in Croatia, located on the islet Ravnik, on the southern side of Vis island. 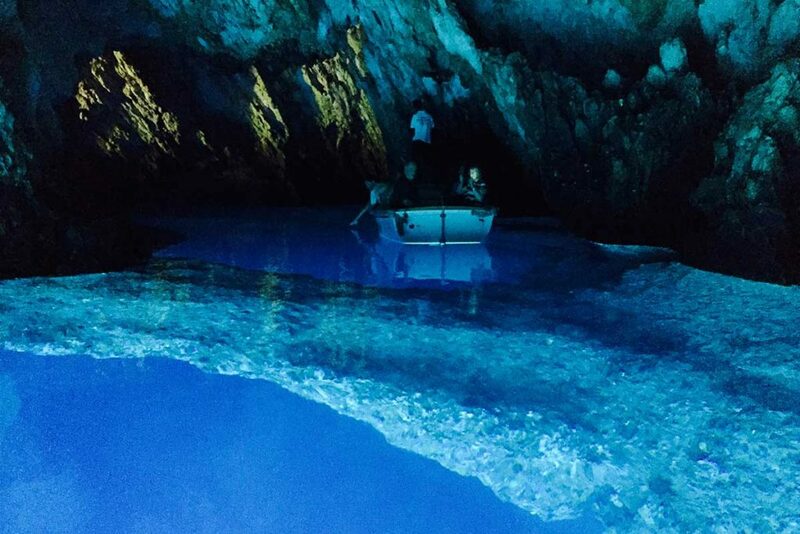 It is less famous than the Blue Cave, but definitely worth visiting. 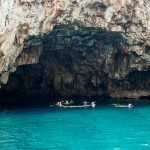 After the swimming stop inside the Stiniva Cove on our Blue Cave and Hvar tour from Split the next stop takes you inside the popular Green Cave. Even though the Green Cave is not as famous as the Blue Cave of Bisevo island it provides another experience which is not possible inside the Blue Cave. 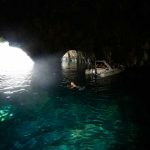 You get to experience the unique feeling of swimming and snorkeling inside the cave. 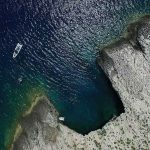 As of July 1st 2017 the entrance to the Green cave is no longer free. 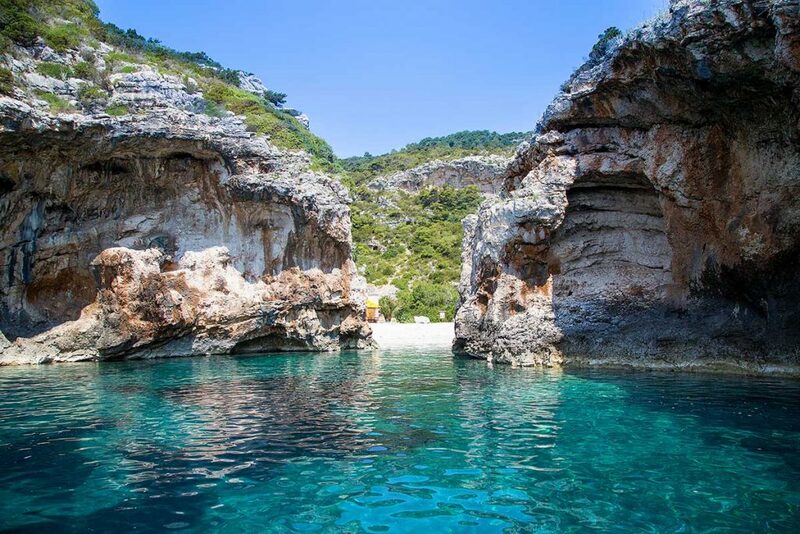 The ticket to the Green cave is € 10. 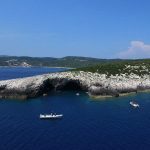 The visit to the cave is no longer in our Blue Cave tour from Split itinerary, but only as an optional stop on our private tour to Blue Cave. 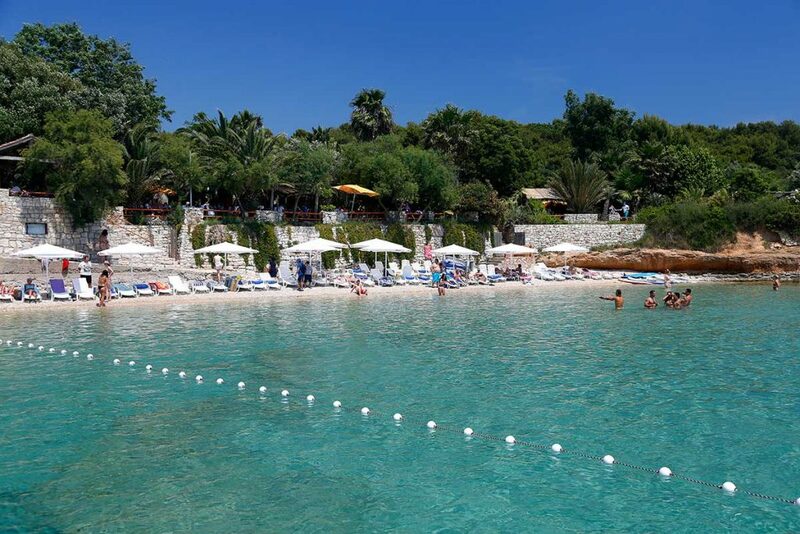 We are sorry for this inconvenience. 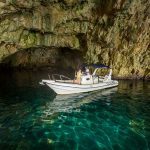 The Green Cave is absolutely gorgeous and spacious, the depth varies from 3 to 5 meters, so the boat can get in which is allowing you to jump into the sea right from inside the cave. 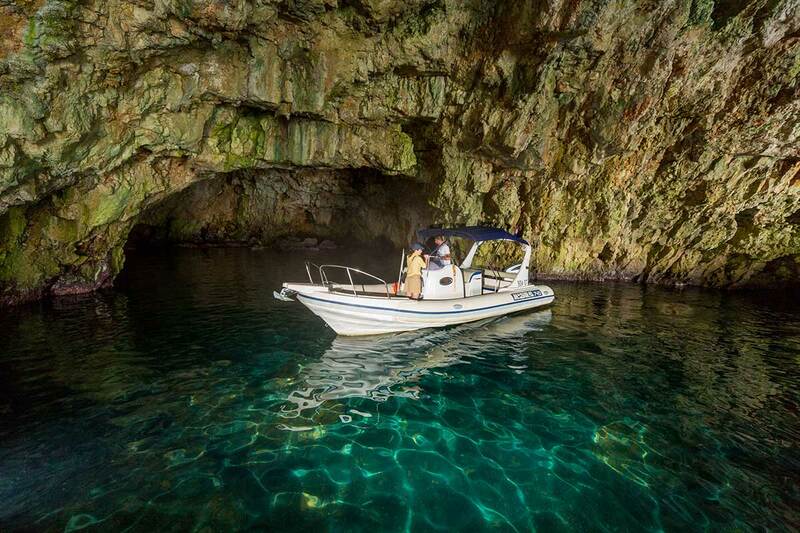 You can once again take advantage of the snorkeling equipment we have on board and explore the sea bottom of the cave. 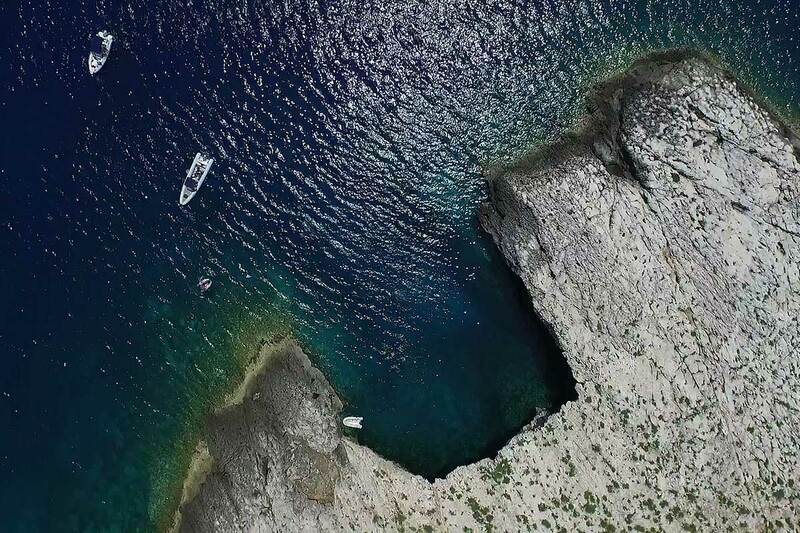 When entering the cave, it is visible that it’s character derives from the fissure on the top of the cave through which a light passes and leaves stunning marks in the sea. 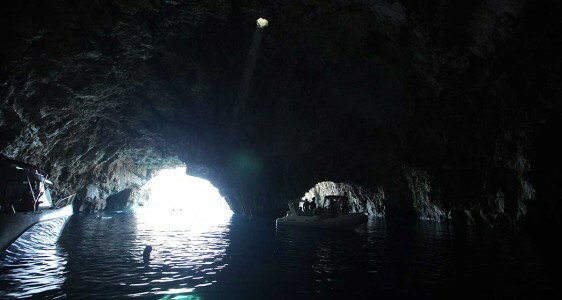 The beam of light enters the sea and shines back reflecting from the cave bottom. 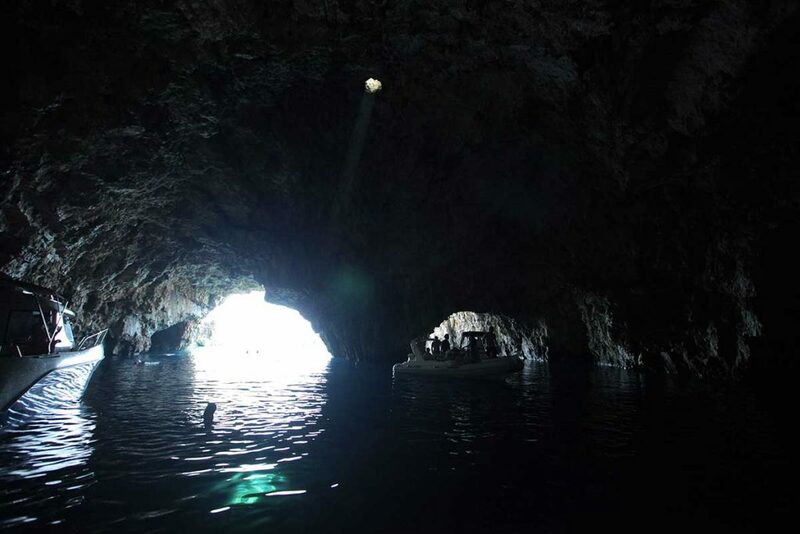 The legend of the cave states that if you dive through the beam of light you will live one hundred years. 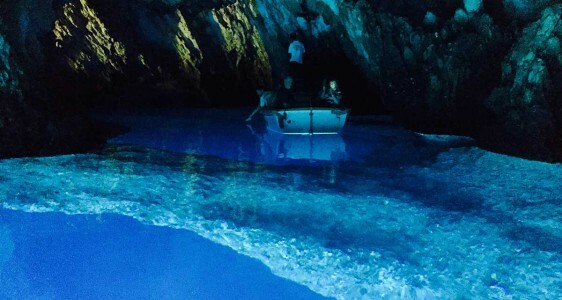 The green color of the cave, based on which the cave got its name, is due to the green algae growing on the ceiling and the walls of the cave reflecting down into the sea. 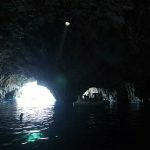 As you dive under the water is rather dark except for the glows of light coming from the cave entrance and from the light beam coming from the ceiling above. 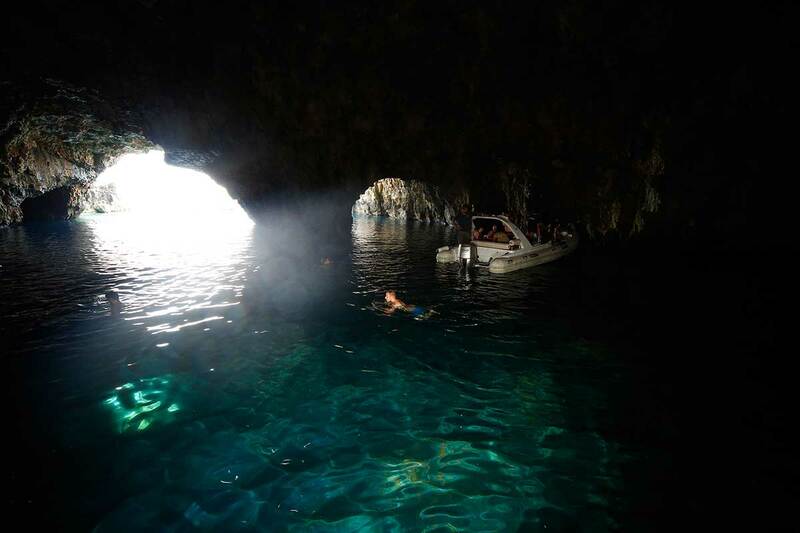 These lights give you the unique experience when snorkeling inside of the Green Cave. 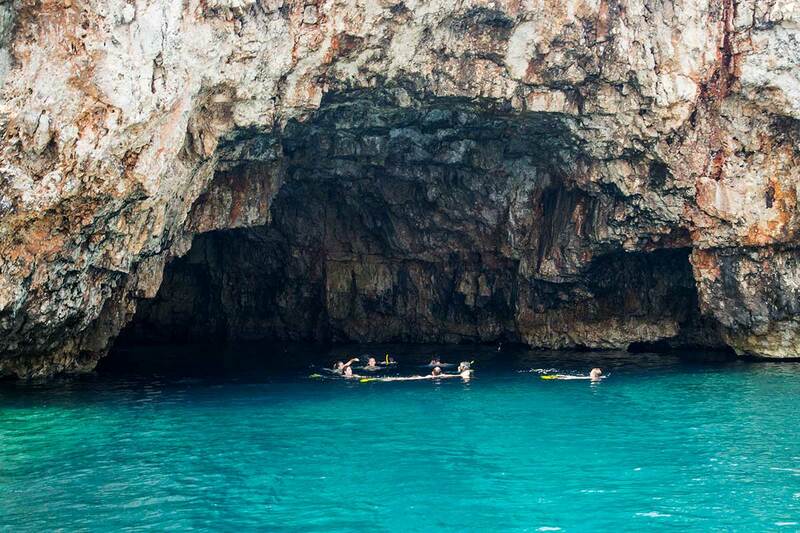 After experiencing unique feeling of swimming and snorkeling inside the cave we exit outside of the Green Cave. 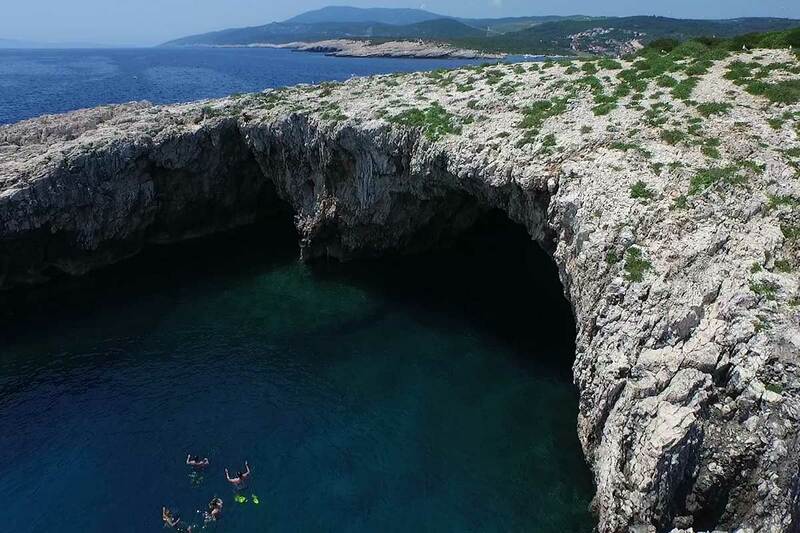 Another popular activity regarding the Green Cave, besides diving through the beam of light, is to climb on top of the Cave larger entrance. 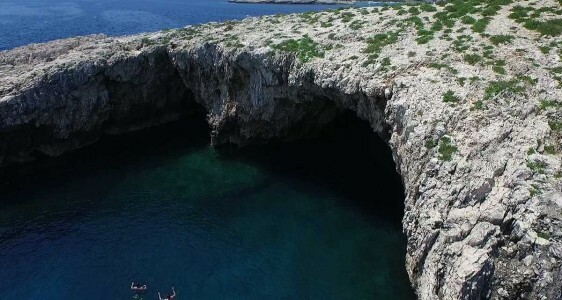 Many of the people visiting Green Cave take on this challenge of climbing the top of the Cave entrance but they soon realize that the only way back down is to jump in the sea below. 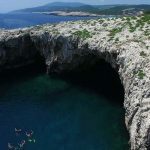 There is no legend involved in climbing and jumping off the Green Cave entrance so it is understandable that you may not wish to take on this experience. 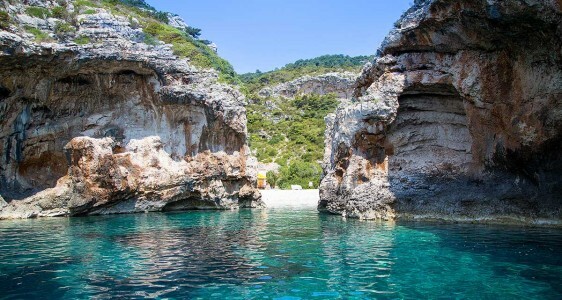 However you will most definitively see some that climb the cave and are force to take that 10 meter jump into the clear sea below.